Hello and welcome! 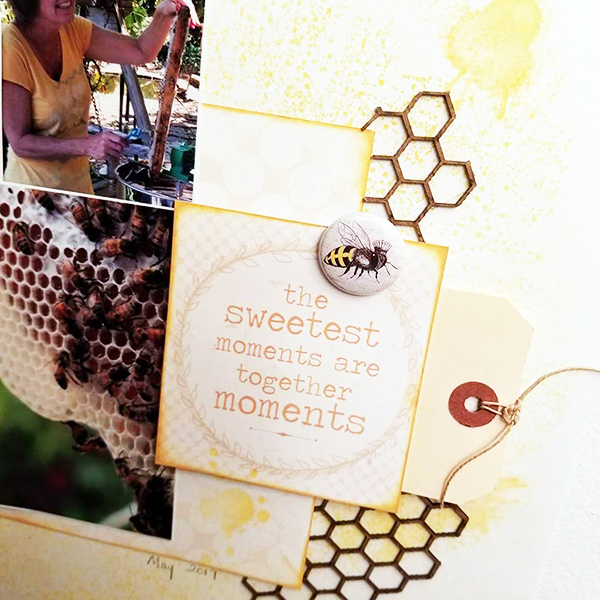 Susie hosting the blog today and I find myself still inspired by the Honey Harvest I talked about in my last post. I decided I wanted to make a layout this time and I started with the Windsong Paper Pack. I used Wind Song 105 as it has a very subtle design that gives just a touch of interest. I pulled out my Desert Sun PowderPuff Chalking Ink, the Uh Oh Ink Splatters stamp set from Joy Clair and created an inked photo mat that radiates from the center out. 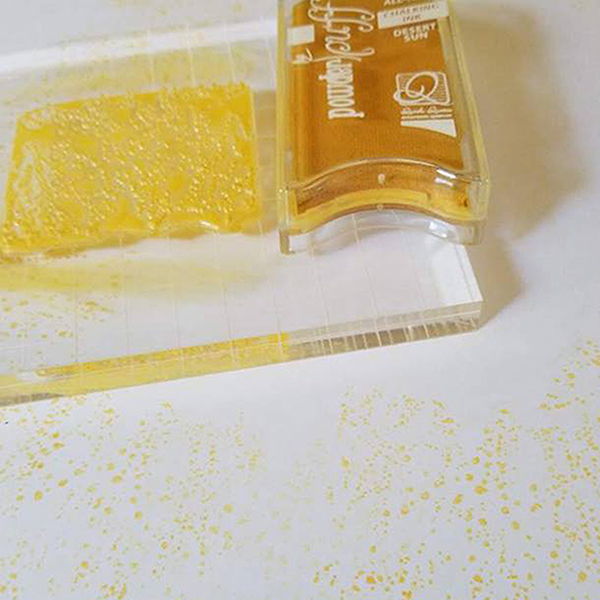 I did not re-ink the stamp every time and the effect it gives is a lot of depth. 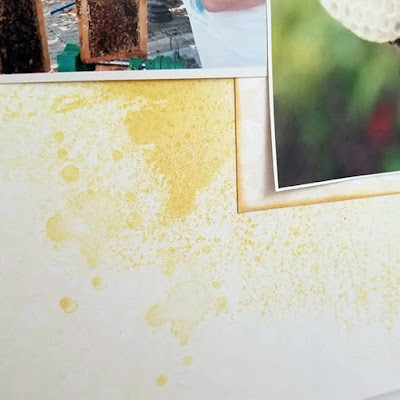 I added some "honey" splatters around the page, too! I altered one of the sentiment tags from the Windsong Quotes and Phrases Strip so that it said exactly what I wanted it to say. I also took the opportunity to use 2 different PowderPuff Chalk Inks and blended to get exactly the color I wanted. I started by edging the strip with Terra Cotta and then went back and swiped it again with Desert Sun. I love the rose/yellow color! 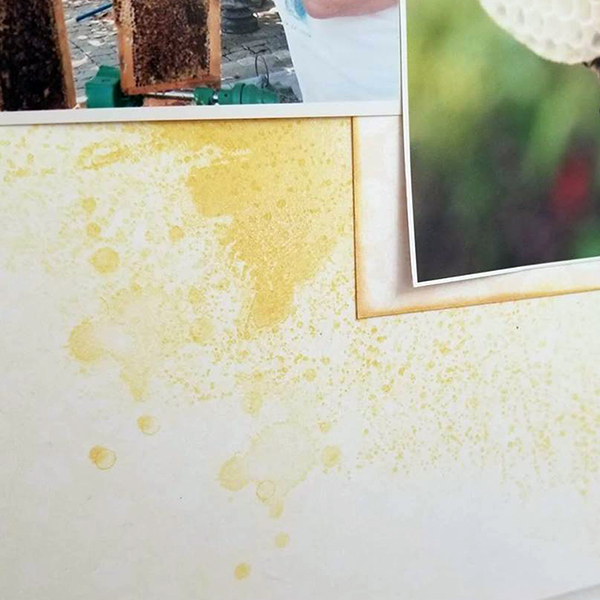 also check out the "honey" splatters all over the page! 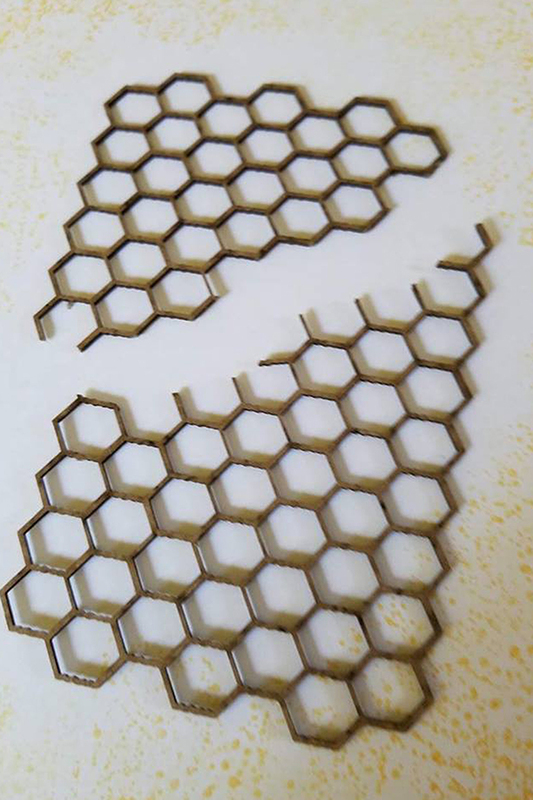 I used a Chickenwire Chipboard piece to add dimension because the shape reminded me of a honeycomb. I used scissors to cut it apart so I could spread it around the page. 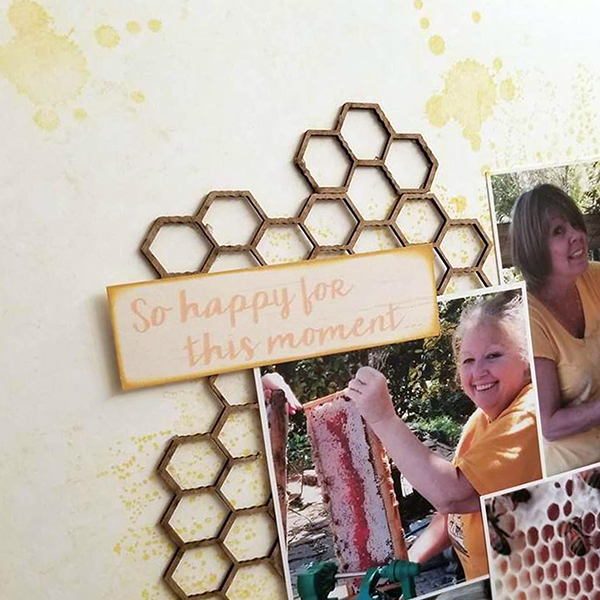 The main sentiment got the same edge treatment, a few more "honey" splatters, chipboard and a bit of flair to finish things off!